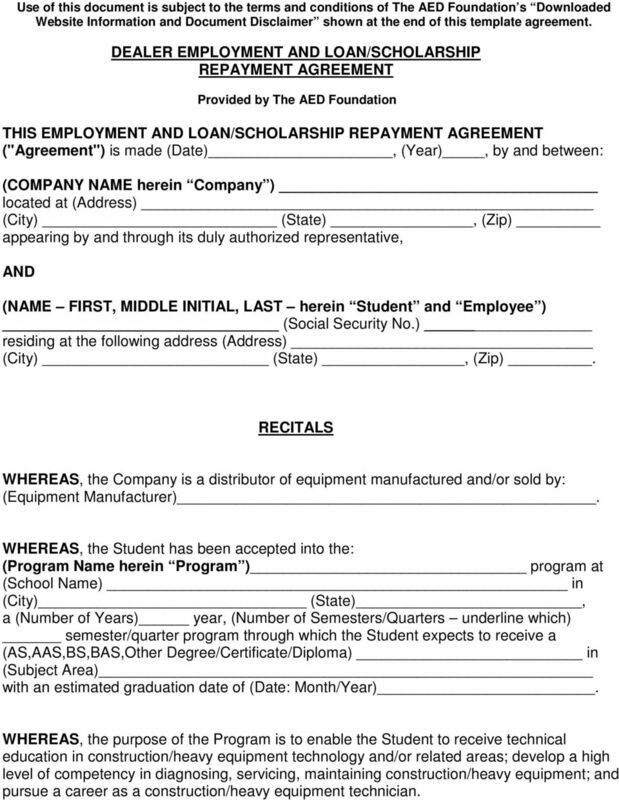 Download "DEALER EMPLOYMENT AND LOAN/SCHOLARSHIP REPAYMENT AGREEMENT"
1 Use of this document is subject to the terms and conditions of The AED Foundation s Downloaded Website Information and Document Disclaimer shown at the end of this template agreement. DEALER EMPLOYMENT AND LOAN/SCHOLARSHIP REPAYMENT AGREEMENT Provided by The AED Foundation THIS EMPLOYMENT AND LOAN/SCHOLARSHIP REPAYMENT AGREEMENT ("Agreement") is made (Date), (Year), by and between: (COMPANY NAME herein Company ) located at (Address) (City) (State), (Zip) appearing by and through its duly authorized representative, AND (NAME FIRST, MIDDLE INITIAL, LAST herein Student and Employee ) (Social Security No.) residing at the following address (Address) (City) (State), (Zip). RECITALS WHEREAS, the Company is a distributor of equipment manufactured and/or sold by: (Equipment Manufacturer). WHEREAS, the Student has been accepted into the: (Program Name herein Program ) program at (School Name) in (City) (State), a (Number of Years) year, (Number of Semesters/Quarters underline which) semester/quarter program through which the Student expects to receive a (AS,AAS,BS,BAS,Other Degree/Certificate/Diploma) in (Subject Area) with an estimated graduation date of (Date: Month/Year). WHEREAS, the purpose of the Program is to enable the Student to receive technical education in construction/heavy equipment technology and/or related areas; develop a high level of competency in diagnosing, servicing, maintaining construction/heavy equipment; and pursue a career as a construction/heavy equipment technician. 2 2 WHEREAS, in order to facilitate the Student s participation in the above stated Program, the Company desires to sponsor the Student, provide the Student with financial aid for expenses directly related to the Program, and employ the Student after graduation from the Program. WHEREAS, the Student desires to receive such financial aid and become an employee of the Company following graduation from the Program. WHEREAS, the Student and the Company agree to comply with the terms and conditions of this contract as set forth in this Agreement. WITNESSETH: NOW, THEREFORE, in consideration of these promises and the parties' material covenants, representations, and warranties made herein, the Company and the Student agree to the following terms and conditions with regard to any financial aid provided by the Company to the Student, and employment by the Company of the Student, as follows: 1. Loan and/or Scholarship Monies a. 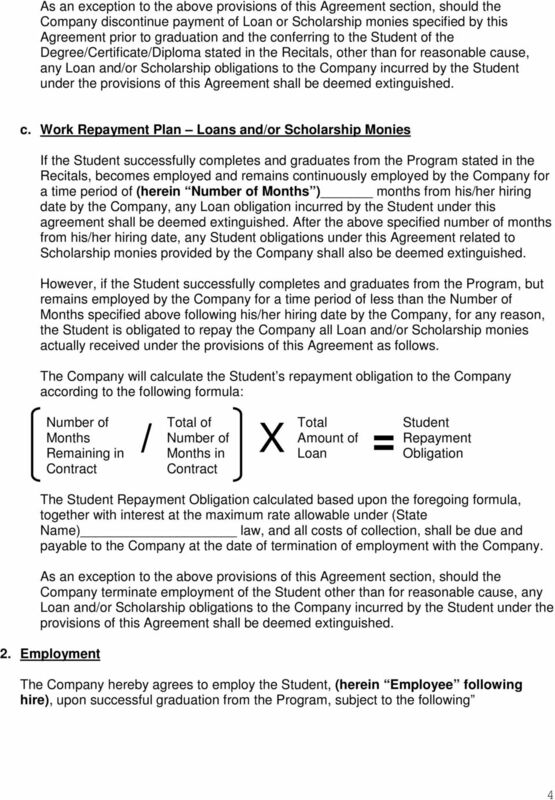 Amount of Loans/Scholarships and Expenses The Company agrees to provide Loan monies and/or Scholarship monies (herein Financial Aid ) to the Student, only as specified below in this Agreement section; for expenses directly related to participation in the Program indicated in the Recitals and reasonably incurred for tuition, textbooks, fees, housing, meal plans, and travel expenses. 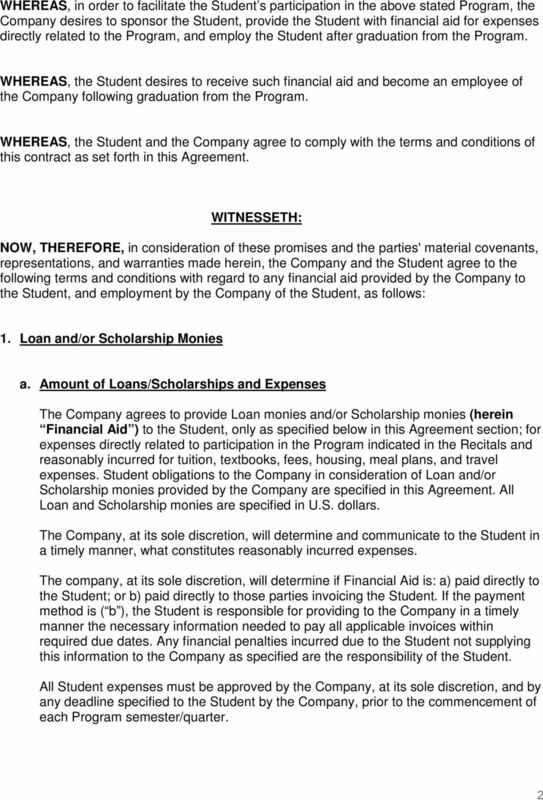 Student obligations to the Company in consideration of Loan and/or Scholarship monies provided by the Company are specified in this Agreement. All Loan and Scholarship monies are specified in U.S. dollars. The Company, at its sole discretion, will determine and communicate to the Student in a timely manner, what constitutes reasonably incurred expenses. The company, at its sole discretion, will determine if Financial Aid is: a) paid directly to the Student; or b) paid directly to those parties invoicing the Student. If the payment method is ( b ), the Student is responsible for providing to the Company in a timely manner the necessary information needed to pay all applicable invoices within required due dates. Any financial penalties incurred due to the Student not supplying this information to the Company as specified are the responsibility of the Student. All Student expenses must be approved by the Company, at its sole discretion, and by any deadline specified to the Student by the Company, prior to the commencement of each Program semester/quarter. 3 3 Check either 1.) Loans OR 2.) Scholarships. Do not enter information for both. Then, check all applicable items underneath the chosen type of financial aid and show dollar amounts as needed: 1.) Loans per semester or quarter (as applicable): Exact total amount of Loan monies provided Maximum total amount of Loan monies to be provided Loan monies may be used only to pay directly related Program expenses, up to the dollar maximum shown, as approved by the Company, for: (If Applicable) Dollar Maximum Tuition, textbooks and fees Housing and meal plans Travel expenses to and from Program location Other Other 2.) Scholarships per semester or quarter (as applicable): Exact total amount of Scholarship monies provided Maximum total amount of Scholarship monies to be provided Scholarship monies may be used only to pay directly related Program expenses, up to the dollar maximum shown, as approved by the Company, for: (If Applicable) Dollar Maximum Tuition, textbooks and fees Housing and meal plans Travel expenses to and from Program location Other Other b. 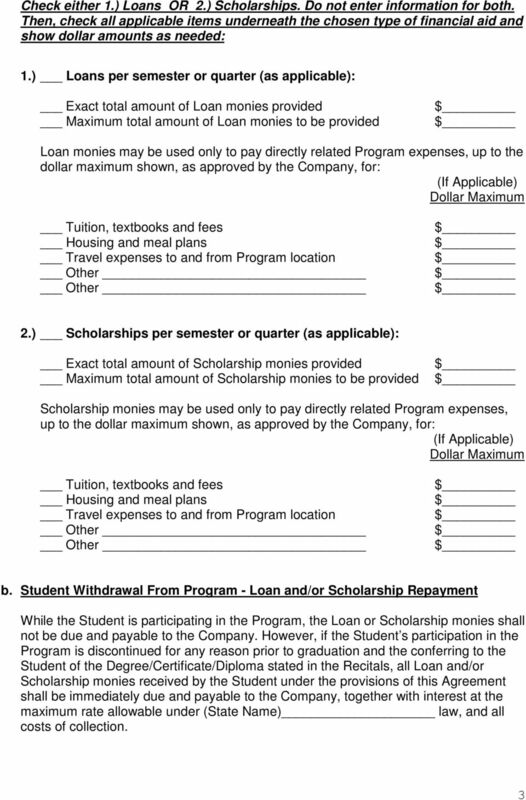 Student Withdrawal From Program - Loan and/or Scholarship Repayment While the Student is participating in the Program, the Loan or Scholarship monies shall not be due and payable to the Company. However, if the Student s participation in the Program is discontinued for any reason prior to graduation and the conferring to the Student of the Degree/Certificate/Diploma stated in the Recitals, all Loan and/or Scholarship monies received by the Student under the provisions of this Agreement shall be immediately due and payable to the Company, together with interest at the maximum rate allowable under (State Name) law, and all costs of collection. 7 7 effect as against the Employee s estate, heirs, legal representatives and successors. 3.) Should the Employee s employment terminate due to permanent disability, and the cause of disability is directly related to the Employee s employment with the Company, any Loan and/or Scholarship obligations incurred by the Student under this Agreement shall be deemed extinguished. b. Effective Termination of Compensation and Benefits The Employee's compensation and benefits hereunder shall terminate effective immediately on the date of termination of the Employee's employment, and from that date, the Employee shall be entitled only to such severance benefits as the Company may at its sole discretion provide to its other employees in the Employee's job classification. 4. Indemnification a. The Student/Employee shall indemnify and hold the Company harmless from and against any and all liability and expense of any kind, including legal costs and reasonable attorney's fees, arising from the Student/Employee's misconduct, negligence, or fault. b. The Student/Employee shall indemnify and hold the Company harmless from and against any and all liability and expense of any kind, including legal costs and reasonable attorney's fees, arising from the Student/Employee's participation in the Program specified in the Recitals. 5. Assignment Prohibited This Agreement is personal to each of the parties hereto, and neither party may assign or delegate any of its rights or obligations hereunder without first obtaining the written consent of the other party. This provision does not restrict assignment or delegation of this Agreement by the Company when such assignment or delegation is part of the sale or other transfer of ownership of the Company. 6. Amendment No modification, amendment, addition to, or termination of this Agreement, nor waiver of any of its provisions, shall be valid or enforceable unless in writing and signed by the Student/Employee and approved by the President of the Company. 8 8 7. Waiver A waiver of a breach of any of the provisions of this Agreement, or failure of either party to enforce any term of this Agreement, will not be treated as a waiver of any subsequent breach of the same or any other provision of this Agreement. 8. Binding Agreement This Agreement shall be binding on the parties, their heirs, legal representatives and successors. 9. Notices All notices under this Agreement shall be in writing and shall be served by personal service or registered mail, return receipt requested. Notice by mail shall be addressed to each party at his/her/its address as set forth above. Either party may notify the other party at any time of a different address to which notices shall be sent. 10. Governing Law and Venue This Agreement shall be governed in all respects, whether as to validity, construction, capacity, performance, or otherwise, by the laws of the State of (State ). Any dispute arising under this Agreement, and any action to collect the balance due and owing under provisions of this Agreement, shall be brought in a court of competent jurisdiction at a location situated within this State and specified by the Company. 11. Severability If it should be determined that one or more of the Sections of this Agreement are found to be unenforceable, illegal, or contrary to public policy, this Agreement shall remain in full force and effect, except for the unenforceable section or sections. 12. 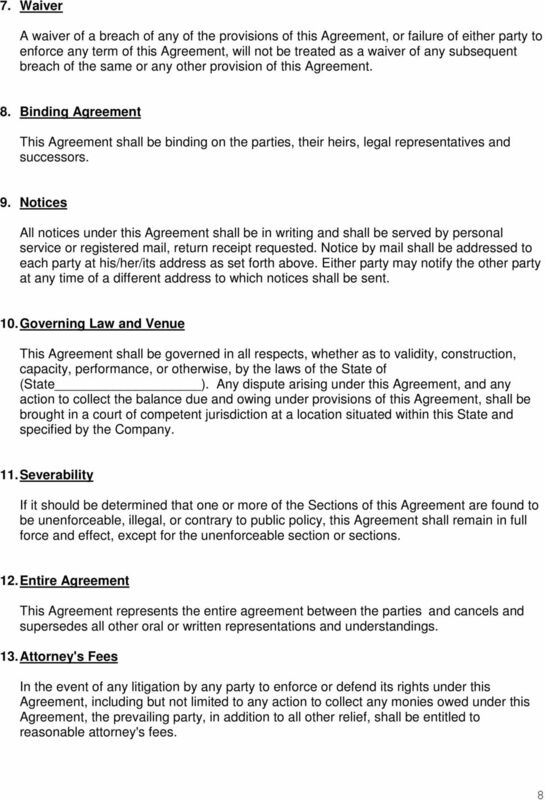 Entire Agreement This Agreement represents the entire agreement between the parties and cancels and supersedes all other oral or written representations and understandings. 13. Attorney's Fees In the event of any litigation by any party to enforce or defend its rights under this Agreement, including but not limited to any action to collect any monies owed under this Agreement, the prevailing party, in addition to all other relief, shall be entitled to reasonable attorney's fees. 9 9 IN WITNESS WHEREOF, the parties have executed this Agreement to be effective as per the provisions of the Agreement. COMPANY STUDENT/EMPLOYEE Company Name Print Name Print Name Title Signature Duly Authorized Agent Date Signature Date Downloaded Website Information and Document Disclaimer Downloading and/or use of any information and/or document(s) found on any AED or AED Foundation website(s) is subject to the following terms and conditions. By using these websites and downloading and/or using any information and/or documents found therein, you agree to be bound by the following terms and conditions. You acknowledge that the provision of legal and/or other document(s) on these websites is for informational purposes only and is not intended to and does not constitute the practice of law or the giving of legal advice. You acknowledge that prior to using any aforementioned information and/or downloaded documents, it is your responsibility to consult with an attorney or other expert knowledgeable in the laws of the applicable jurisdiction and the specific intended use of that information and/or those documents. You understand that information and/or documents available from these websites are general in nature, and are not based on the laws of any specific state or other jurisdiction. All aforementioned information and documents are provided as-is without warranty of any kind. All warranties, including merchantability, quality, accuracy, title and fitness for a particular purpose, are disclaimed. 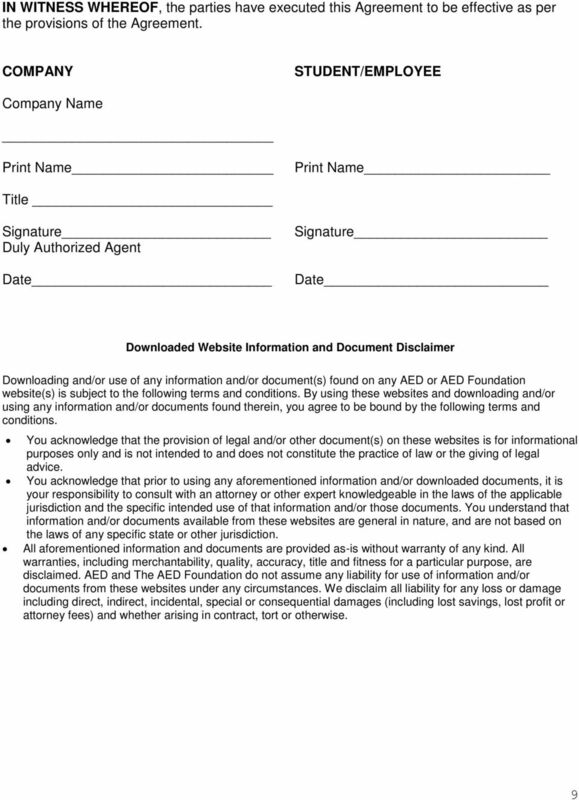 AED and The AED Foundation do not assume any liability for use of information and/or documents from these websites under any circumstances. We disclaim all liability for any loss or damage including direct, indirect, incidental, special or consequential damages (including lost savings, lost profit or attorney fees) and whether arising in contract, tort or otherwise. PAY-ME-NOW PAYMENT GATEWAY AND VIRTUAL TERMINAL SOFTWARE PAGE 1 OF 7 This Reseller Agreement ( Agreement ) is made effective as of the date set forth below by and between Applied Merchant Systems, Inc.
Business Finance Agent Agreement This Agreement is between The Business Finance Store ("Company") a division of FinanceMark Inc. a Nevada Corporation and you, referred to as Agent from this point forth.